In order to optimise your bodybuilding training success, you need to keep your workouts around 45 minutes duration. Unless you are chemically enhanced working out intensely for anything in excess of 45 minutes is rather pointless. In fact its actually counterproductive. Yes, you can probably sustain more than forty five minutes of intense weight training without dropping dead. You may really enjoy your bodybuilding training and not be satisfied by a mere hour. But would you still do it if you knew it was counterprodutive to your training goals? – probably not. Intense bodybuilding training that lasts longer than around one hour, increases the production of the stress hormone cortisol, which would not be condusive to the purpose of training. Maximise your gains by keeping workout duration to an hour or slightly less. Intense exercise is progressively less effective beyond that time – cortisol begins to increase and its effect is catabolic which is obviously undesirable. There Is much debate around the importance of stretching and when it should be performed. Research evidence appears inconclusive. Whilst I don’t recomend static stretching before weight training I believe some kind of dynamic stretching should be done before, and after your bodybuilding training. The action of stretching has a number of physical benefits. stretching can warm-up the muscles and joints, stretch surrounding tissues and potentially speed up recovery. Make time to stretch – it should be an integral part of your training. You may have seen trainees at the gym who haven’t decided what workout they are going to employ that day. They dont even know which bodypart they are going to train, or which exercises they will be performing, much less how many reps and sets of each exercise. Arriving at the gym and then just following a haphazard scheme of exercising does not cut it I’m afraid. You should have a goal, and a plan of how to accomplish that goal. It isn’t enough to just throw weights around. This may be exercise, but its not proper bodybuilding training. Know what you are doing and why you are doing it. Keep a training log to plan and record your workouts. A log is an invaluable reference point and information source of which workouts are most, (and least) effective. Additionally other significant factors such as mood and energy levels can be noted for future reference. Have a training plan and adhere to it for long enough to know whether or not it is a good bodybuilding training program, which works for you. Lifting heavy should be a mandatory part of weight training programs designed to build muscle. For muscle growth to occur, you must create a stimulus for the body to get bigger and stronger. Lifting light weights for high repititions doesn’t create the need for increased muscle size, it creates a need for better conditioned muscles. In order to build muscle, your bodybuilding training program should be based on reletively heavy loads (weights you can lift for a maximum of between 5 -12 reps). There are some individuals who take issue with this philosophy and claim to have had success in bodybuilding training by using light weights. Indeed a few very experienced trainers are able to move weights in a manner which makes the body think it is moving a heavier load. These trainers are able to utilise a mind muscle connection which enables them to use less weight effectively. 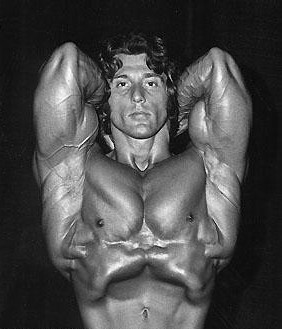 Former Mr Olympia Frank Zane is a prime exponent of this style of training philosophy, and his bodybuilding training success speaks for itself. However for the majority of people this method does not work, or at least is not optimal. Seek to progresively increase your training load over time to progesively increase your body size and strength. At the other end of the scale lifting too heavy can also retard progress. Lifting heavy can mean exercise form is often compromised by using momentum, which results in the target muscles being bypassed. It is paramount that trainees employ good exercise form in order to optimise bodybuilding training success. If you need to “cheat the weight up” in order to finish the repititions, there is too much weight on the bar. Learn how to do the important basic compound lifts like bench press, squats, deadlifts, overhead press, rows, and pull ups with proper form. By training with proper form through a full range of motion you will maximise your bodybuilding training efforts. Some people seem to believe that overtraining is a myth, but these people have obviously never trained big compound movements with high intensity and high volume. Some exercises are also more easily overtrained than others. The Deadlift is a prime example. It is easy to get really beat up by deadlifts, especially if multiple heavy sets are employed. Overtraining is is most often caused by excessive training volume rather than intensity however, especially with inexperienced trainees. Much of it is due no doubt to the “more is better” mentally of the majority of them. Some overtraining is also probably inspired by muscle magazines publishing high volume workouts of chemically enhanced professionals. These are emulated by young trainees who are then unable to effectively recuperate between workouts from such high volume. It is very important to understand that there are times when “less is more”. A point comes where “more” gives diminishing or negative returns. You must listen and be attentive to your body and recognise when your bodybuilding training reaches this point. If you find that you are losing enthusiasm for your workouts, if you are constantly fatigued, if your progress has halted, it’s probably time to have a break from training. It is great to have an abundance of motivation to get to the gym and do all the hard graft, (a factor missing in the majority of trainees), however this enthusiasm needs to be tempered by the knowledge that there is an optimum amount of work necesary to acheive bodybuilding training success. Going beyond this volume of work is futile and will inevitably lead to overtraining which will retard progress. Pay attention to what your body tells you. If your body is not responding positively to training stimulus ask yourself why – are you overtraining it? If the answer is yes. or even maybe, back off, then adjust your training schedule accordingly. Do not rely on your body to let you know when it needs water. Ensure that you are always fully hydrated. There are various schools of thought on what constitutes proper hydration but 4 litres of fluid per day is a good benchmark, I believe. As an athlete, you need to dictate to your body what it requires – This will improve your bodybuilding training results as well as your overall physical health. Before stretching (which you should do also) you need to warm-up. This will raise your body temperature a little in preparation for the workout. For example doing a little aerobic exercise as the first thing you do in the gym will go a long way to helping you have a more productive workout. Many trainees are focused totally on the positive portion of the repitition. The negative part of the movement (the lowering of the weights) is at least as important for muscle adaptation. Too many trainees, usually through ignorance, underestimate or neglect this. Either that, or they choose to ignore it. There are reasons for this – trainees soon realise that concentration on the negative portion of the movement makes the exercise harder. This extra difficulty should be welcomed, however the subsequent increased muscle time under tension, may necesitate a slight reduction in training poundages. This is often not acceptable to the ego of the “wanabee” trying to impress his buddy onlookers in the gym. To those trainees nourising the ego is their primary concern – to them building muscle is a secondary consideration. If your primary training purpose is to build muscle however, as it should be, then concentrate on the eccentric. Your lifts won’t be as big, but your results will be bigger. Always remember never to let your ego get the better of you in the gym. In other words, don’t load the bar too heavy then bust out a few half reps – you’re only fooling yourself. Leave your ego at the door and you’ll be surprised by how much your bodybuilding training improves. Whilst you definately need to train with intensity, you need to be careful not to overdo it. Training as intensely as possible for as long as possible will not do it for you. As a beginner if you train correctly, you will initially make rapid progress and will not induce enough training stress to produce overtraining. But as you become more advanced your size and strength progress will no longer be linear and you will need to adapt your bodybuilding training accordingly. Stronger athletes are also able to train at an intensity that more easily causes overtraining. Over-reliance on intensity building routines such as “training to failure” can definately be counterproductive if overused. These type of routines put huge stress on the central nervous system and can quickly lead to overtraining. Therefore, use intensity sparingly – sometimes the basics will get you the best results. Bodybuilding training can be addictive once it is an established part of your lifestyle. Once you get into bodybuilding, not working-out can make you feel incomplete. It can evoke negative feelings of guilt or anxiety. Despite this, you need to periodically give the body a rest from training stress. This lay off can be very beneficial to your bodybuilding training success. Take a week or so every few months and totally abandon your training. Eat what you want, and put your supplements away. Dont even consciously think about training. Periodically “letting go” like this is hugely beneficial to mind, body and soul. When you return to your bodybuilding training you will find your batteries recharged and your training reinvigorated, your body will thank you and will be stronger and more responsive.